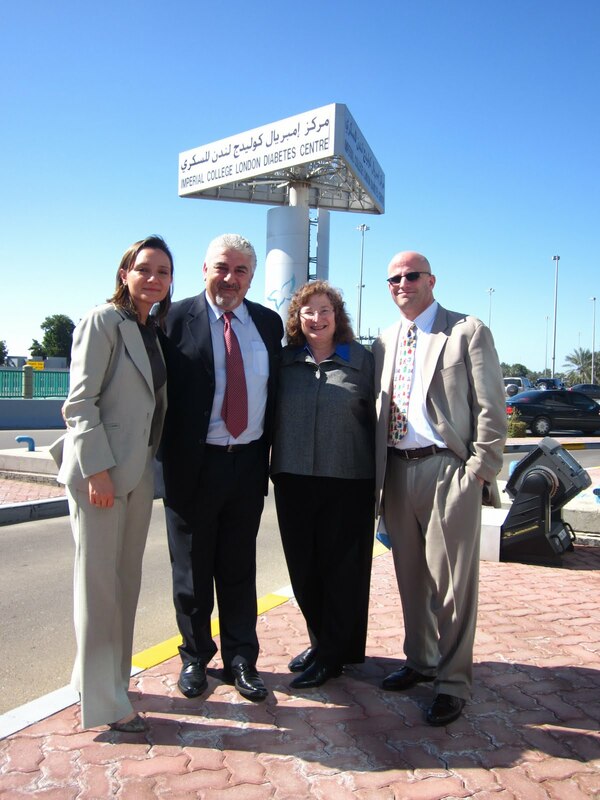 Following the most recent delegation's trip to the United Arab Emirates, Fran Cogen, MD, Children's diabetes expert and regular blogger on HealthCentral.com, shared some thoughts about her experience, excerpted here. It is January 26, 5:00 pm in Abu Dhabi, United Emirates (that is 8 am in Washington, DC). 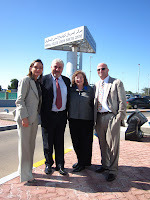 I am here with a delegation from Children's National Medical Center to share medical strategies with The Health Authority of Abu Dhabi, meet peers from several Abu Dhabi hospitals, visit The Imperial College London Diabetes Center, and primarily to speak at The Arab Health Summit (Ambulatory Treatment of Type 1 Diabetes in Children). After multiple meetings and shared meals with colleagues, it has become crystal clear that the problems facing our children in our diabetes practice in Washington, DC, are the same as those in the United Arab Emirates. Obesity and the increasing incidence in type 2 diabetes in both adults and children are leading causes of cardiovascular diseases in the Emirates (and the United States). Food options and lack of exercise remain the biggest sources of obesity. Interestingly enough, juice consumption in the UAE is even more of a problem than in the United States due to the high sugar content unique to this area. Carbohydrates are plentiful and "the golden arches" of McDonald's coexist with the towering skyscrapers and mosques in Abu Dhabi and Dubai. In addition, due to the extreme heat during summer months, exercise becomes difficult. To tackle the burgeoning epidemic of diabetes in the UAE, a unique facility offering "a one- stop shop approach" was developed through the vision of Dr. Barakat, who is a cofounder of the Imperial College London Diabetes Center. Yesterday I had the pleasure of touring the facility. I was most impressed by the comprehensive services that were provided by the enormous support staff at ICDC...it was amazing...As I conclude this blog entry, in view of the Arabian Sea, camels near the hotel (2 adult and 1 baby), I am cognizant of this universal fact. After crossing thousands of miles, half way around the globe, diabetes (and other health problems) remain the same, perhaps making the world a bit smaller and bringing ourselves a bit closer to each other.